Disney's Into the Woods Begins Production! Disney’s Into the Woods Begins Production! 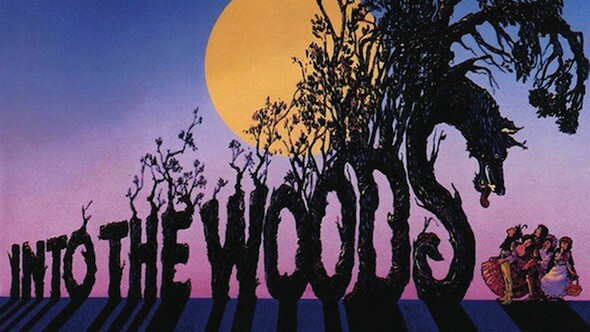 Walt Disney Studios is turning the beloved hit Broadway musical Into the Woods into an all-star movie! Production just started on the film, which will star Johnny Depp, Meryl Streep, Anna Kendrick, Chris Pine, Emily Blunt and Christine Baranski, among others. The announcement also states that the screen adaptation will include songs from the stage musical AND it's confirmed that Stephen Sondheim is has written a brand new song for the show's on-screen debut! More details are below, and I'll be sure to share all the Into the Woods details as they come into my inbox! Disney’s Into the Woods kicked off production last week, featuring an award-winning production team and all-star ensemble cast. Rob Marshall, the talented filmmaker behind the Academy Award-winning musical Chicago and Disney’s Pirates of the Caribbean: On Stranger Tides, helms the film, which is based on the Tony-winning original musical by James Lapine, who also penned the screenplay, and legendary composer Stephen Sondheim, who provides the music and lyrics—including an all-new song for the big-screen adaptation. Into the Woods is produced by Marshall, John DeLuca, Wicked producer Marc Platt and Callum McDougall. Shooting in studio and on location throughout England, the film is slated for a December 25, 2014, holiday release. Into the Woods is a modern twist on the beloved Brothers Grimm fairy tales, intertwining the plots of a few choice stories and exploring the consequences of the characters’ wishes and quests. This humorous and heartfelt musical follows the classic tales of Cinderella, Little Red Riding Hood, Jack and the Beanstalk, and Rapunzel—all tied together by an original story involving a baker and his wife, their wish to begin a family and their interaction with the witch who has put a curse on them. Meryl Streep (The Iron Lady, The Devil Wears Prada, August: Osage County) portrays the Witch who wishes to reverse a curse so that her beauty may be restored. Emily Blunt (Looper, The Young Victoria, The Devil Wears Prada) is the Baker’s Wife, a childless woman who longs to be a mother. James Corden (Broadway’s One Man, Two Guvnors, The Three Musketeers, Gavin & Stacey) plays the role of the Baker, a hard-working man who desperately wants to start a family. Anna Kendrick (Pitch Perfect, Up in the Air) fills the shoes of Cinderella, who finds herself on a journey of self-discovery. Chris Pine (Star Trek Into Darkness, Jack Ryan) portrays Cinderella’s Prince, charming and impossibly handsome, who is on an endless quest to find his bride. Johnny Depp (Pirates of the Caribbean films, The Lone Ranger, Sweeney Todd) steps in as the Wolf, who sets his sights on Little Red Riding Hood. Lilla Crawford (Broadway’s Annie) makes her feature-film debut as Little Red Riding Hood, a smart and spunky girl who journeys into the woods, finding unexpected adventures along the way. Daniel Huttlestone (Les Misérables) lands the role of Jack, an absentminded and adventurous boy who trades his treasured cow for five magic beans. Christine Baranski (Mamma Mia!, Chicago, The Good Wife) takes on the infamous Stepmother who wishes for riches and grandeur; she'll do anything to marry off one of her daughters to a prince. MacKenzie Mauzy (Brother’s Keeper, Broadway’s Next to Normal) plays Rapunzel, a sheltered young woman who experiences the world beyond her tower for the first time. Billy Magnussen (Broadway’s Vanya and Sonia and Masha and Spike,Boardwalk Empire, The East) is the dashing and eager Prince who courts Rapunzel. Celebrated actors from the stage and screen fill the supporting roles, including Tammy Blanchard (Blue Jasmine, The Good Shepherd) and Lucy Punch (Bad Teacher, Dinner for Schmucks) as Cinderella’s spoiled stepsisters, Florinda and Lucinda. Richard Glover (Sightseers, St. Trinian’s) is the Princes’ royal steward, Frances de la Tour (Hugo, Alice In Wonderland) portrays the giant, and Simon Russell Beale (The Deep Blue Sea) is the Baker’s father. Actress Joanna Riding (My Fair Lady, Carousel) portrays Cinderella’s late mother, and Little Red Riding Hood’s beloved granny is played by Annette Crosbie (Calendar Girls, The Slipper and the Rose). The big-screen adaptation welcomes songs from the stage musical, including Children Will Listen, Giants in the Sky, On the Steps of the Palace, No One Is Alone and Agony, among others. Additionally, Sondheim has penned an all-new song for the story’s theatrical debut. The award-winning production team includes Dion Beebe (Collateral, Chicago, Nine), Oscar winner for the Marshall-helmed Memoirs of a Geisha, as director of photography. Dennis Gassner (Skyfall, Quantum of Solace), who won his own Oscar for Bugsy, serves as production designer, and three-time Oscar winner Colleen Atwood (Memoirs of a Geisha, Chicago, Alice In Wonderland) is costume designer. Into the Woods premiered on Broadway on Nov. 5, 1987, at the Martin Beck Theatre. The production, which ran for 764 performances, won Tony Awards for best score, best book and best actress in a musical. Among other awards, the musical received five Drama Desk awards, including best musical. Into the Woods has been produced around the world, including a 1988 U.S. tour, a 1990 West End production, Broadway and London revivals, in addition to a television production, DVD recording and a 10-year-anniversary concert. Disney's Into the Woods is set to open on December 25, 2014. I’m insanely excited for the movie version of Into the Woods, too! I’m sure this is going to be great! Wow! Hooray for Johnny Depp! Casey, I’m pretty sure Johnny Depp can do no wrong–I’d see him in any movie!